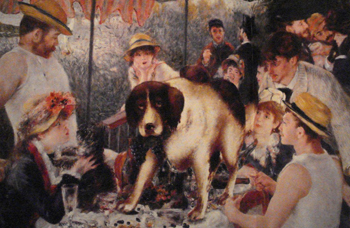 When some friends gave me the 1996 book Mutts of the Masters by Michael Patrick, I thought it was just an overview of famous paintings that include dogs, such as the Phillips’s masterpiece by Renoir, Luncheon of the Boating Party. But as I flipped through the pages, the truth was exposed–Renoir’s real painting features another, much bigger dog with the title Breakup of the Boat Party. Okay, the book is a satire (and a very amusing one at that) of historical art treasures overrun by dogs (and the occasional cat). Another Phillips masterpiece, Edgar Degas’s Dancers at the Barre, is also featured, only in this version titled Pas De Deuxa froofy French poodle dances (or otherwise conducts her business) in the lower right corner. Oskar Kokoschka, Portrait of Lotte Franzos, 1909. Oil on canvas, 45 1/4 x 31 1/4 in. 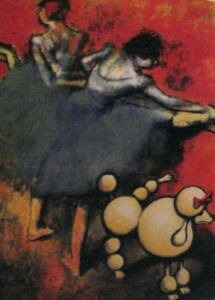 The Phillips Collection, Washington, D.C. Acquired 1941. 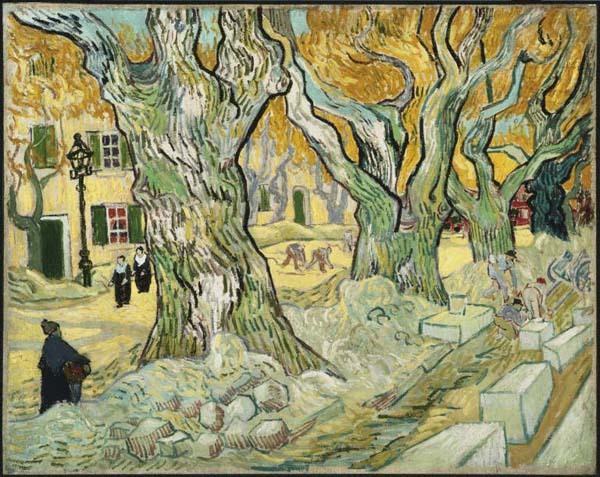 Do you want to know more about what motivated Kokoschka to paint Lotte Franzos the way he did? 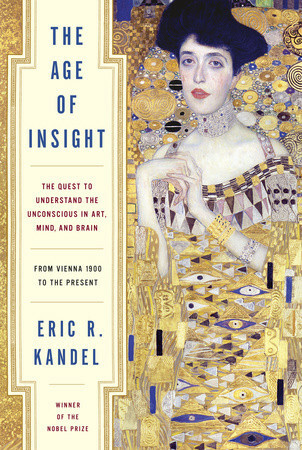 A compelling and perceptive view on just that question is in a new book by Eric Kandel, Nobel Prize-winning neuroscientist, titled The Age of Insight : The Quest to Understand the Unconscious in Art, Mind, and Brain, from Vienna 1900 to the Present.